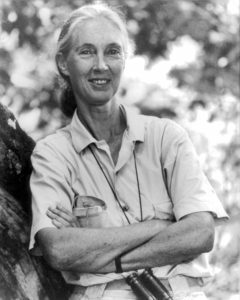 Jane Goodall is the world’s expert on the behavior and ecology of chimpanzees. She began her field studies in Africa in the early 1960s, undertaking the first long-term research on wild chimpanzees. This study has continued for over 35 years and has taught humans much about its closest living, non-human relative and our own culture. She has also done extensive studies on hyenas, jackals, wild dogs, and baboons. In addition to her significant contributions, Goodall has been a catalyst bringing international funds and expertise together with local governments and interests in order to develop wildlife sanctuaries, particularly for chimpanzees. Through books, television and personal appearances, and a global environmental education program for children, Goodall has brought awareness of wildlife and environmental conservation to the broadest possible audience. The recipient of numerous awards, Goodall was distinguished by Queen Elizabeth II with the title Commander of the British Empire(CBE) in 1995. Birute Galdikas has devoted 26 years to field studies of the endangered orangutan and is the world’s leading expert orangutan behavior and ecology. Her study is one of the longest, continuous studies by one principal investigator of any mammal in the world. Until her research, the orangutan was the least known of the great apes. Galdikas brought the orangutan to the attention of the rest of the world and through the use of sophisticated data analysis has shed light not only on orangutan behavior but also on the animal’s habitat and diet. This has provided important information on the rainforest as a whole and a better understanding of Indonesia’s biodiversity. As an outgrowth of her scientific research on orangutans, Galdikas is involved with numerous conservation efforts in Indonesia that are leading to the restoration of forests in Borneo, maintenance of a care center for orphaned orangutans, and the education of young people about the importance of the endangered orangutans. In large measure, the success of the orangutan studies has been due Galdikas’s ability to get local people and Indonesian students involved in field research and conservation efforts. Early in her career, Galdikas was instrumental in helping establish what was then the largest national park in Borneo. 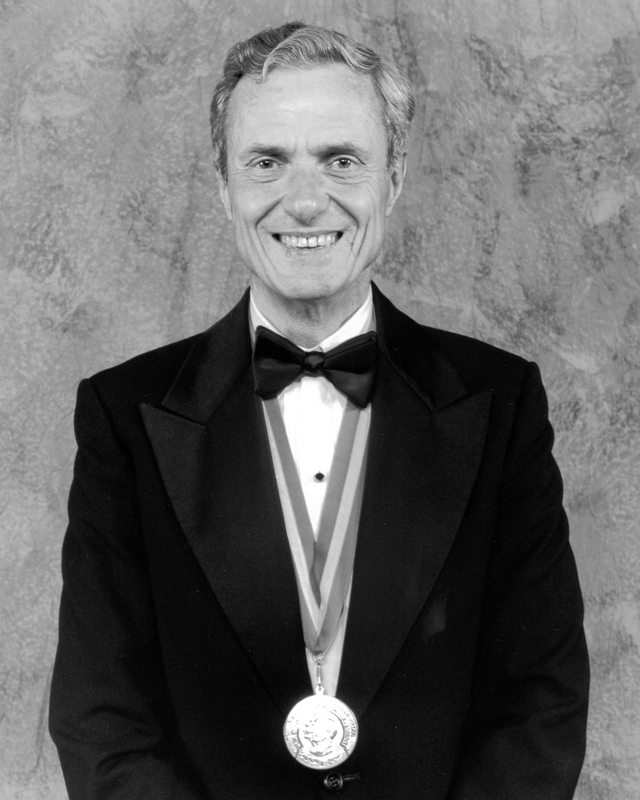 George Schaller is known for his scientific studies of large animals and his passion for their conservation. From his detailed observations of gorillas, tigers, lions, snow leopards, and pandas have come writings that have inspired a generation of field biologists and resulted in more effective conservation and management practices throughout the world. 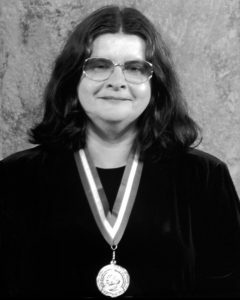 Schaller began his research career in the 1950s. While still a graduate student, he participated in the biological survey of a little known region in northwestern Alaska. This work led to the creation of the Arctic National Wildlife Refuge. In the late 1950s, he conducted the first scientific study of the mountain gorilla. His book, The Mountain Gorilla, published in 1963, was an instant classic. This research was followed by studies of tigers in India, lions in the Serengeti, and Giant Pandas in China, among others. Schaller is director for science for of the international program of the Wildlife Conservation Society in New York. He is one of the most knowledgeable and eloquent champions of conservation. His ability to inspire others to take action has fostered a high degree of interest and involvement among governments and the publicin the conservation of the world’s wildlife. A number of nature reserves in Brazil, Pakistan, Mongolia, and China have been the result of his cooperative efforts with these countries.